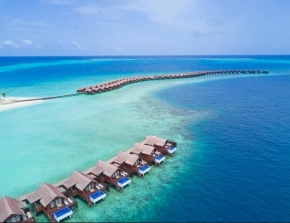 Holiday Package Deals | Maldives: 4D3N & Free 1N stay at 5-Star Anantara Veli Resort & Spa with Air Tickets, Transfers & Extra Perks! 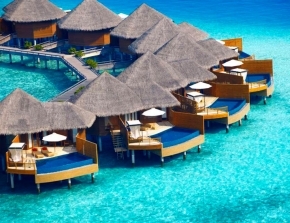 Maldives: 4D3N & Free 1N stay at 5-Star Anantara Veli Resort & Spa with Air Tickets, Transfers & Extra Perks! Experience an island paradise of chic simplicity in a charming tropical setting replete with soft white sand and azure waters at ANANTARA VELI RESORT & SPA. Relax with a loved one in our over water bungalows as a spectacular selection of sea life swims beneath you. Dive into an array of water sports in the tranquil surrounds of our island resort’s crystal clear lagoon. Rates applicable for adults based on twin sharing (strictly twin sharing ONLY). Maximum room occupancy is 02 adults only. Indulge in the ultimate beach holiday by escaping to what can only be described as the ultimate tropical paradise that is the beautiful island of Maldives! Marvel at the Maldives' breathtaking horizon, made up of deep blue seas, white sandy beaches and palm trees, and experience the unadulterated joy that one can only enjoy when waking up to such a wonderful view. When one travels to Maldives, one can expect nothing less than picture perfect weather — balmy mornings, sunny afternoons, awe-striking sunsets and breezy nights... so what are you waiting for? Maldives is sinking everyday! Get this deal and book your seats to this island paradise before it's not there anymore!